At English Martyrs’ the children in Foundation Stage and Key Stage 1 take part in a 20 minute phonics session each day. Our daily phonics lessons follow the guidance set out in the Letters and Sounds phonics resource, which was published by the Department for Education and Skills in 2007. It aims to build children's speaking and listening skills in their own right as well as to prepare children for learning to read by developing their phonic knowledge. The children are given a reading book which they will bring home with them each day. When parents have listened to their child read they write a comment in the accompanying reading diary. Reading books can be changed several times per week. In addition to this, the children take part in focused guided reading sessions at least once each week. 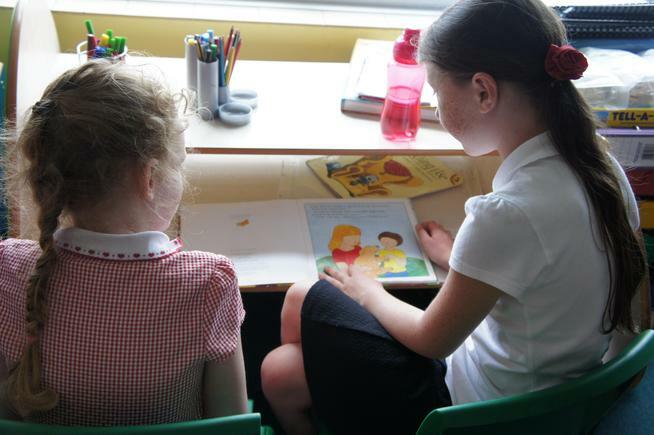 Children who are below age related expectations in reading will also have additional reading sessions each week using our Reading intervention programmes. 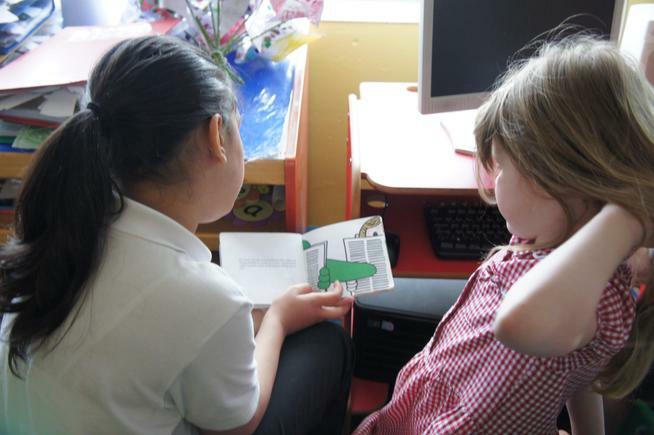 At English Martyrs’ we use a range of reading schemes to provide a wide breadth of text types. Most of the reading schemes such as 'Floppy's Phonics', 'Songbirds' and Pearson 'Phonics Bug' are closely linked to the phonemes that the Key Stage One children will be learning in their daily phonics session. Other schemes, such as the 'Oxford Reading Tree' and 'Collins Big Cat' are banded with a colour according to their difficulty. Our aim is to inspire a love of reading in all our children. 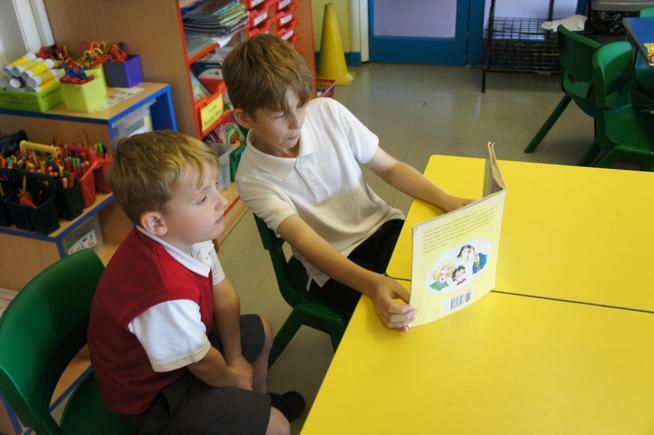 Class reading corners promote 'must reads' and allow children to share their favourite books with other children with teachers displaying books that they recommend that link to English, themes and all curriculum work. We believe reading isn't a stand-alone lesson, but integrated through all elements of the curriculum. 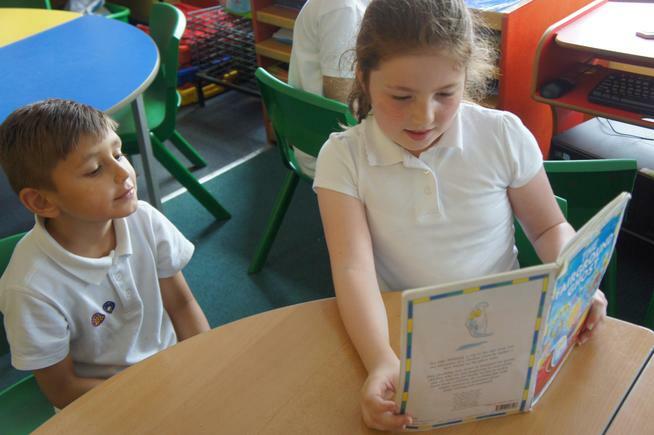 In weekly Guided Reading sessions children will explore a range of fiction and non-fiction texts and poetry with their teacher. They will consider the writers' use of language, become detectives and look for clues (inference and deduction) and look at the structure and organisation of a text, whilst developing their own comprehension of a text. These highly focused sessions often lead to creative activities to respond to reading like drama, music and art. In addition to the Guided Reading session children in Key Stage Two will progress through the reading book bands. Taking books home to share with their families. We ask that you listen to your child read every day and engage in book talk with them. 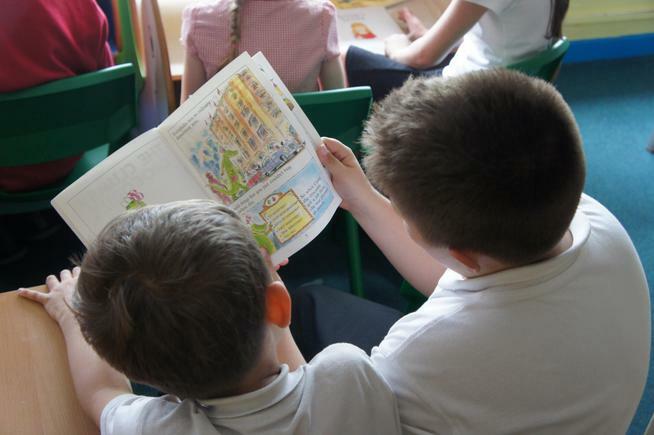 In Key Stage Two we do not follow one reading scheme, instead we have selected a range of books from a variety of sources to ensure that children are excited by what they read and that they have access to a range of quality texts. To promote variety in reading we encourage the use of our well-stocked, adult and pupil-run, library, decorated for different themes throughout the year providing the children with further inspiration for text choices and gives them access to all the latest releases! 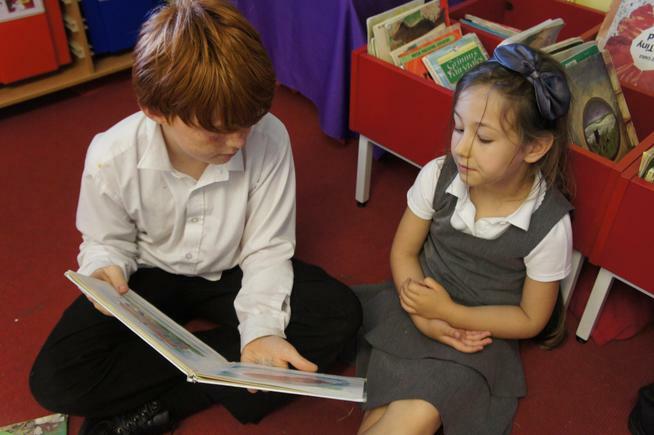 At English Martyrs’ we believe reading opens up a world of possibilities for our children which is their right. 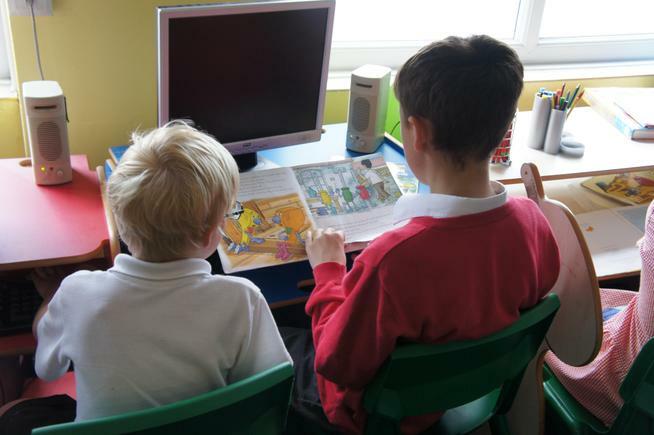 In addition to our Reading Books which children take home and our Guided Reading books, we also have a wealth of books in our well-stocked school library. These cover all aspects fiction and non-fiction. We also have a reading incentive: '100 Books Before I Leave'. Children progress through chosen reading books from a set list, gaining rewards and incentives as they pass key milestones, championing reading for all and championing a passion for reading. We ARE reading at English Martyrs'!